Using RFID to Track ‘Bees with Backpacks’ « Adafruit Industries – Makers, hackers, artists, designers and engineers! 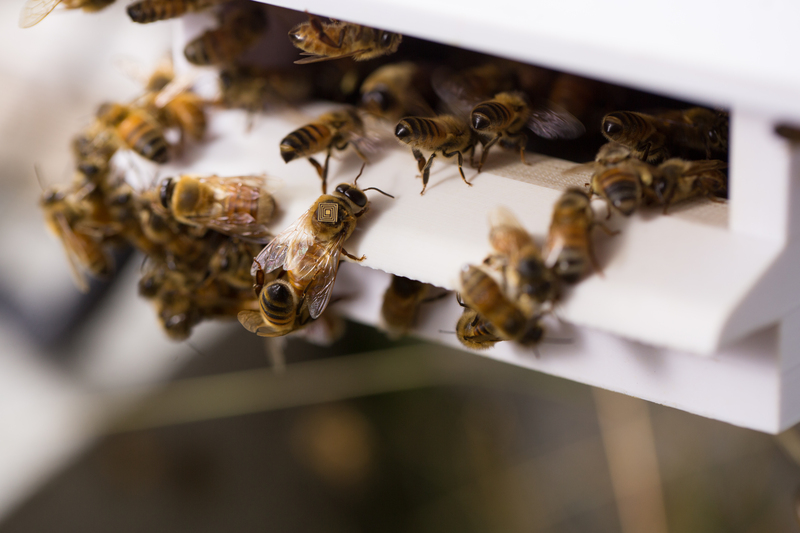 By attaching tiny tracking devices to the backs of honey bees, one Australian scientist hopes the insects will reveal why the global bee population is in serious decline. Nearly ten thousand bees on the remote Australian island of Tasmania are buzzing around with little sensor “backpacks” about the size of a grain of rice. These tiny technology trackers offer clues to a mysterious environmental tragedy that threatens the world’s food supply. Just wondering if there is a good source for those size of rfid chips? Given the partnership with Intel I wouldn’t be surprised if they were manufactured in-house to specification.